The location was excellent, located on the Seine right around the corner from restaurants and shops & right down the street from Notre Dame. The room was larger than expected & the bathroom was nice. I liked the confort, security and the professionalism of the staff. Really excellent accommodation and location. Will definitely stay again!! Good location, nice apartment with a far view of the Eiffel from 7th floor. Really great and helpful staff. We were told to go early to the airport due to road block possibility regarding the Paris demonstration. And they booked the cars for us (12 person in total and so many luggages) and arranged everything and even reminded us and inform us about the situation. And we were just in time before the road in front of the hotel was blocked by the police (our car was the last one before it was blocked). Thank you Citadines! We found the hotel was a great fit for us. We enjoyed having the convenience of the kitchen and there were many options for eating in the area. The hotel had a "pantry" where we could refresh our towels etc. The area was safe and convenient to the Metro and RER. It was wonderful to be able to walk to along the river. Hotel is much like being at home with great, comfortable accommodations and quiet on the south facing side. 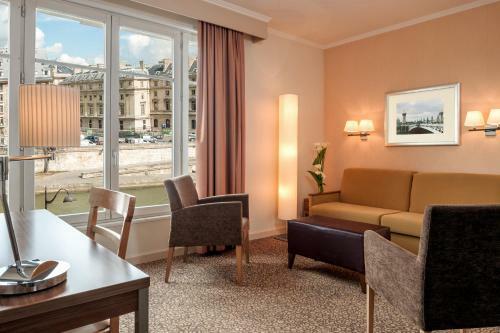 Easy 5 minute walk to St Michel + Latin Qtr. with many great cafes and restaurants for breakfast and dinner. Metro at St Michel connects you to anywhere in Paris and the St Michele - Notre-Dame RER station across the street from St Michel Station connects directly to CDG Airport. Excellent location. Staff was very friendly and helpful. Kitchenette included dishwasher Location Free coffee Hot showers and bathtub! Free water cooler in lobby Free champagne upon arrival for our honeymoon! Location, cleanliness, dishwasher and being able to help myself to towels - though only did every few days. 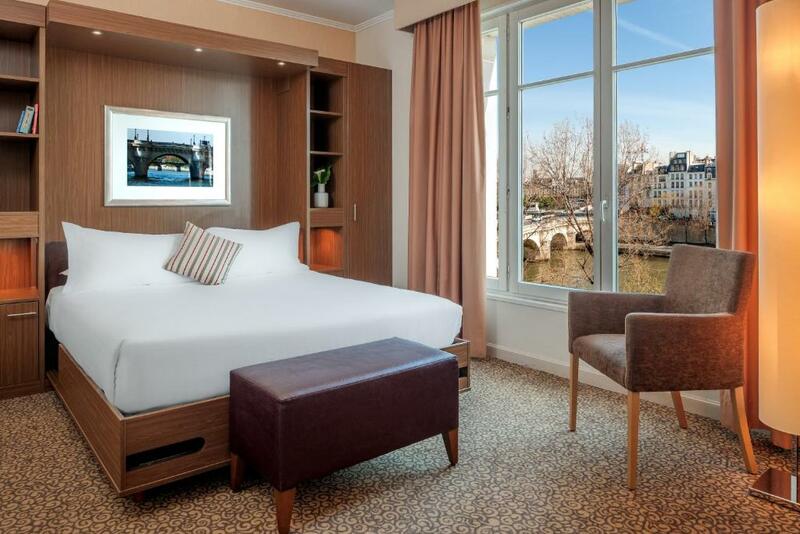 Lock in a great price for Citadines Saint-Germain-des-Prés Paris – rated 8.3 by recent guests! 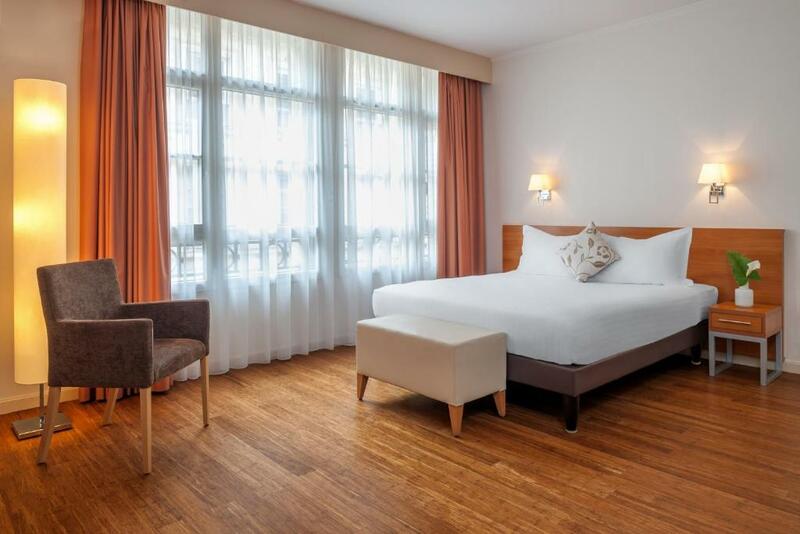 One of our top picks in Paris.In the center of Paris, Citadines Saint-Germain-des-Prés Paris is a 10-minute walk from Notre-Dame Cathedral and 950 feet from Saint-Michel Metro Station. It features a fitness room and free Wi-Fi access. The air-conditioned studios and apartments at this property are serviced by an elevator and include satellite TV. Bed linens are supplied. A private bathroom with a bathtub and a hairdryer is also provided. A continental breakfast is available daily with a charge. Each apartment or studio has a kitchenette with a microwave, a refrigerator and a toaster. Restaurants and cafes can be found within 950 feet of the property. 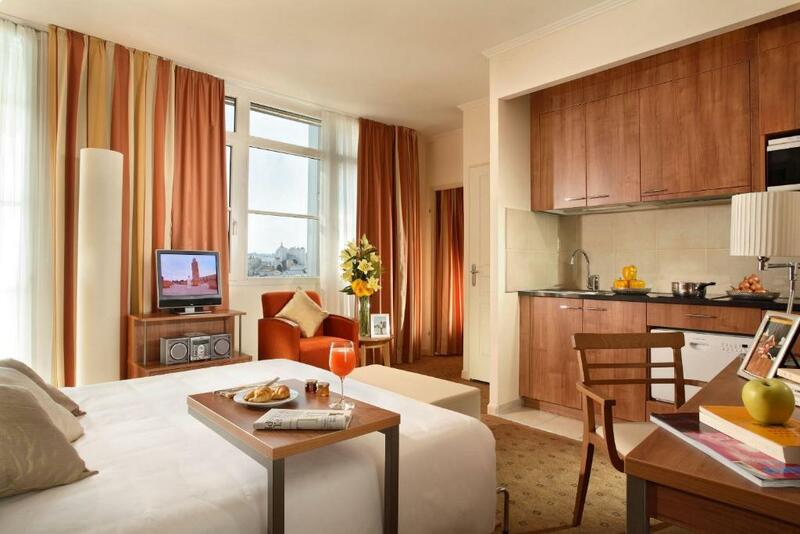 This residence is a 15-minute walk from the Luxembourg Gardens and the Pantheon. The Louvre Museum is less than half a mile away and on-site parking is available. 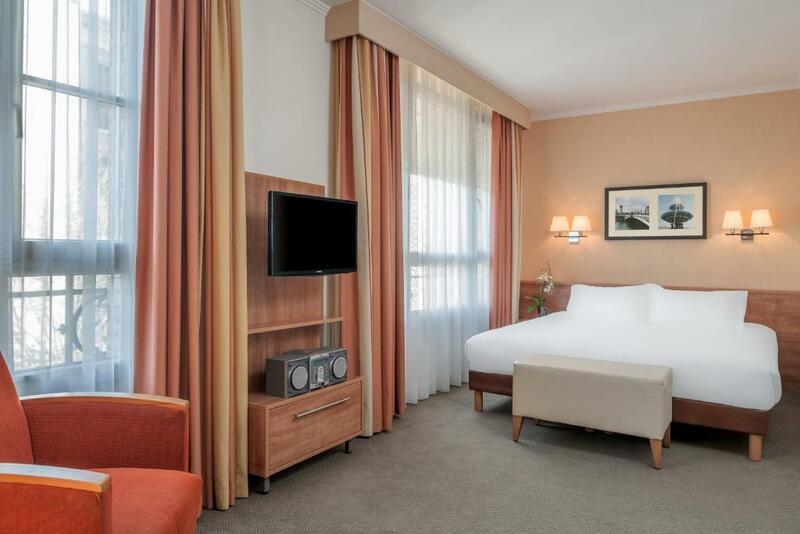 When would you like to stay at Citadines Saint-Germain-des-Prés Paris? House Rules Citadines Saint-Germain-des-Prés Paris takes special requests – add in the next step! 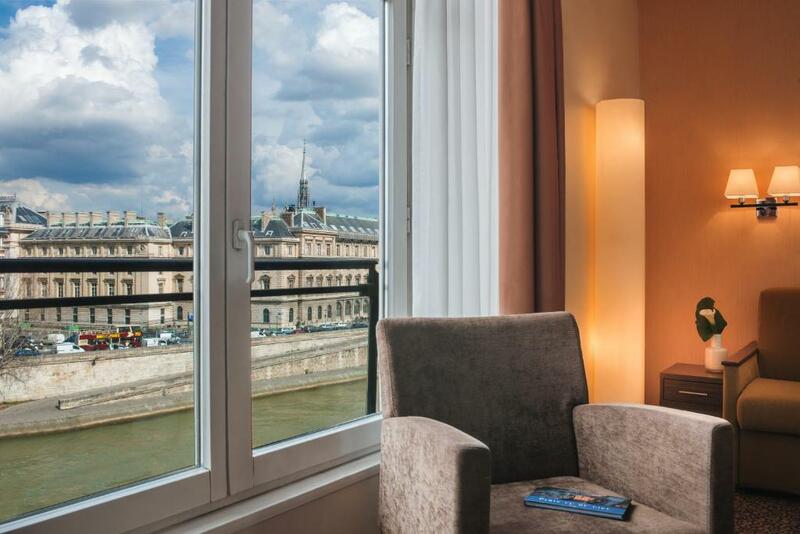 Citadines Saint-Germain-des-Prés Paris accepts these cards and reserves the right to temporarily hold an amount prior to arrival. the beds! hard as bricks, and TOO small. did not sleep well any of the three nights. great staff, spacious room, great coffee! On this occasion I would say there are no negative feedback to give. Maintenance didn't respond to our request. When we told them we had a problem they said no one was on duty. Great staff, very quiet room, excellent location. The hotel is generally very nice. Also very clean. 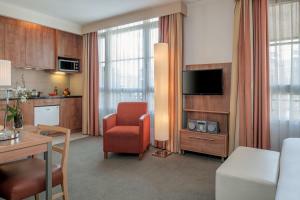 Beds could be a bit more comfortable but the rooms are a nice size and the kitchenette facilities are a nice addition. Price is a bit high but the location is really great. You get what you pay for. The shower was over a fairly high bath requiring a big step in and out. The water pressure for the shower was really low with most of the water going down the back of the shower head handle. Carpets fairly worn and woodwork in need of freshening up. There was only one comfortable sitting chair. To many carpets. I'm a little allergic. The kindness of the staff! Perfect location. Nice and helpful staff. Spacious rooms. Thanks for letting us early check in. No lift. Lots and lots of narrow stairs. Breakfast starts at 7 am most are earlier. The shower didn't have a soap tray or soap pump. Liacation is great Good value. Clean. The apartment room was very tight and small. Certainly not a room for four people. The Air Conditioning was not working and staff didn’t bother to fix it. Whenever we needed something, the receptionist would tell us to go get it ourselves. I’ve been in better hotels that provide better care for their customers. Plus, the computers were in horrible condition and didn’t work. The fact that there was an option to have 4 people in one room and the fast Free WiFi.